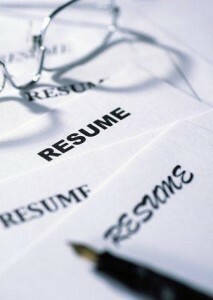 Home › FAQ › How Do You Prepare a Resume? There’s so much conflicting information out there that you’re likely unsure of just how to prepare a resume these days. Your resume is a job search tool that is often the determining factor on whether you are invited for a job interview. So the information you include in this document, as well as the writing style and format are all very important, according to Business Insider. While there’s no one perfect method, there are some standard tips you can use for creating a professional resume. Writing an effective resume will take thought, planning and preparation on your part. This isn’t something you can just jot down off the top of your head. Take some time to consider which of your skills, accomplishments and experiences are most relevant and impressive when it comes to the type of job for which you’re applying. The introduction to your resume is probably the most important part of the entire thing. Often, hiring managers receive hundreds of applicants for one or a few positions. They’re forced to scan resumes looking for something that impresses them. Therefore, you want to keep the introduction short, to the point and relevant. A short summary containing the title of your desired job and a description of what you have to offer should suffice. No more than a few sentences are needed to convey the top qualities, education and experience you possess that qualifies you for the job. Rather than sticking with a formula for the order of your resume that may not work for your particular circumstances, it’s best to place sections in order of most importance. For example, instead of launching directly into your chronological work experience when you’re applying for a field that is different from you previous job, it may be best to add a section that highlights your accomplishments. This way you can first demonstrate additional ways in which you have excelled in past positions that translate well into this job. You can go ahead and add your section on experience next, followed by your education. If you are applying for an academic position or if your education is the most relevant experience you have, it may make sense to place it first. Being selective is best when it comes to how to prepare a resume. You don’t have to include every aspect of your life on your resume, only the ones that apply to the position you desire. When it comes to your experience, list accomplishments rather than duties. Saying that you were the top sales manager for three out of four quarters last year is more impressive than listing the fact that you managed a sales team of five. Finally, make sure your resume is pleasing to the eye. Believe it or not, the appearance of your document plays a part on whether it is read. Make sure there is plenty of white space, don’t cram paragraphs together, break it up with bullets and don’t worry if it takes two pages. Best of luck to you. Following these tips for how to prepare a resume should have you well on your way to scoring that dream job.